Pushing data center resources to the network's edge not only boosts application performance, but it also makes it possible for innovative edge computing and internet of things uses to blossom. It's a big undertaking. And it requires new thinking about how -- and where -- technologies are deployed as well as the types of workloads those resources are called upon to support. The use of edge data center technologies makes sense for companies that need to quickly reach their customers "where the customers are," said Kelly Quinn, an analyst at IDC. For example, a retailer could deploy edge data center devices in its stores to quickly sense when connected customers come in; the business could then push special offers to those shoppers while they are in the store. "Using edge solutions in a setting like this helps reduce latency and improve responsiveness to customers. That can drive additional sales," Quinn said. Edge data center deployments involve IT infrastructure at multiple levels. There's the central data center. Then there are smaller regional data centers, which are used predominantly for compute and storage functions in support of in-the-field devices. Finally, Quinn said, there are the devices that receive and serve information to geographically close end users; these devices may or may not have computational and storage capabilities built in to them. The driver for the emerging generation of edge computing is a combination of forces involving the internet of things (IoT), distributed cloud computing and so-called next-generation telecoms, said Rhonda Ascierto, a research director at 451 Research. These influences are "reshaping and redefining" data centers, she said. As a result, there's a need for greater capacity for the core data centers as well as those at the near edge. The advent of micro data centers, also at the edge, creates new challenges for data center planners. In Ascierto's view, this new wave of edge capacity will differ significantly from past edge buildouts. A 2017 report that Ascierto co-wrote with Daniel Bizo and Andy Lawrence, "Datacenters at the Edge," stated, "Most upcoming edge computing installations will not be incidental or tactical in nature but devised as part of strategic multi-tier IT services architectures." Indeed, the report makes the case that the combination of edge computing and IoT may reshape data center practices by increasing the focus on distributed compute and storage capacity -- close to users and devices while also, paradoxically, increasing the need for large colocation and hyperscale cloud data centers. This change will also be accompanied by a demand for new style data centers. According to Ascierto and her co-authors, large telcos will be the customers most likely to buy "repeatable, standardized data center and power capacity at the edge." Meanwhile, they said, hyperscale and large colocation customers will take the opposite approach by investing in highly customized data centers. Anything real time cannot be adequately supported from hundreds of miles away. All this talk about new or different data centers hasn't gone unnoticed. Technology vendors see opportunity, and they are working hard to figure out how they can play a bigger role in the edge data center, noted Sophia Vargas, an analyst at Forrester Research. It's confusing, Vargas said, because an edge computing architecture can have different meanings to different people. "In my view, there needs to be more clarity on this," she said. For Vargas, the focus is on localized computing and storage infrastructure, "and that local designation is key." Indeed, once that is understood, everything else about edge "can be quite broad in concept." It could be traditional data center assets deployed locally or Amazon's Snowball appliance, "which is a sort of all-in-one box," she said. Vendor views vary. Big players tend to focus on edge in terms of more deployments in market rather than traditional, big, central campuses, Vargas said. A poster child for this is Microsoft, which she said is looking to make data center deployments in multiple metropolitan areas to support its activities there instead of via one central facility. More granular localization is frequently mentioned in connection with IoT use cases. "The driver is typically the need for locally accessible code or analytics because anything real time cannot be adequately supported from hundreds of miles away," Vargas said. Similarly, even connecting to the cloud may yield too much latency for many use cases, she said. In that connection, the term fog computing sometimes surfaces, though she said Forrester doesn't use it, in part because of a lack of consensus about its meaning. "As part of the developing IoT use case, cloud will still be a component, but IoT will also involve any resource that is needed, including the company's centralized data center," she said. Vargas said those most focused on the edge data center are vendors and product developers. "On the enterprise side, they are mostly not thinking about it yet, and those that are, aren't part of the data center team," she said. "And that is a problem." Indeed, Vargas noted, most edge deployments are being led by people on the line-of-business or product side, "where they are trying to modernize a machining department or change an in-store retail experience." With initiatives being driven from outside of the infrastructure units, consulting and integration services typically come into play, she said. And, she warned, edge implementations are not standardized -- and may never be. "Every deployment I have learned about seems to be using a slightly different slice of infrastructure resources, but all of them rely on some kind of aggregation services to bring the different pieces together," she added. Vargas pointed out that edge devices are not likely to be deployed in data centers or near people who know how to run them. That means they are apt to be software-defined, allowing for remote management. "That is what the gateway market is trying to address by providing a bridge between operational technology protocols and IT," she added. For those considering edge deployments, the greatest advantage is simply the reduced latency "The reduced time to transmit data to end users can be an invaluable tool, particularly for industries such as finance and banking, logistics and retail," Quinn said. "The only disadvantage we've seen at this point is the perception of reduced security in the regional and in-field devices," she said. Even so, Quinn said she has yet to see solid proof that those devices are in any way less secure than the central data center. And, she adds, "Any business that serves content to end users or engages end users in time-sensitive transactions stands to gain by implementing edge deployments." 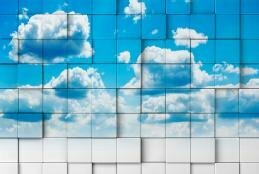 Will data gravity weigh down the cloud? What sort of priority has your organization given to the planning of a possible edge data center? Watch for Google and Walmart to take advantage of the newly announced partnership. Would not be surprised to see an "Edge" play from them in the not too distant future. Google has the tech expertise. Walmart has the real estate.